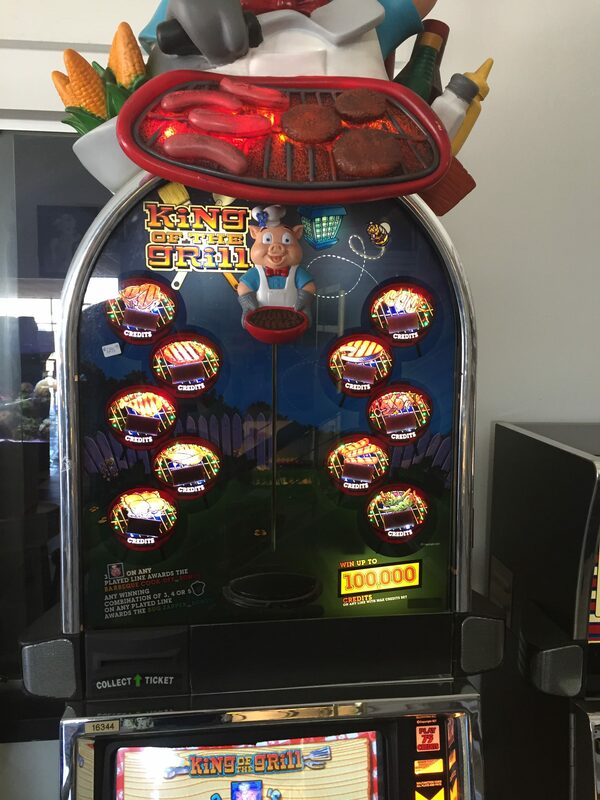 King of the Grill Video Slot Machine * | Fun! 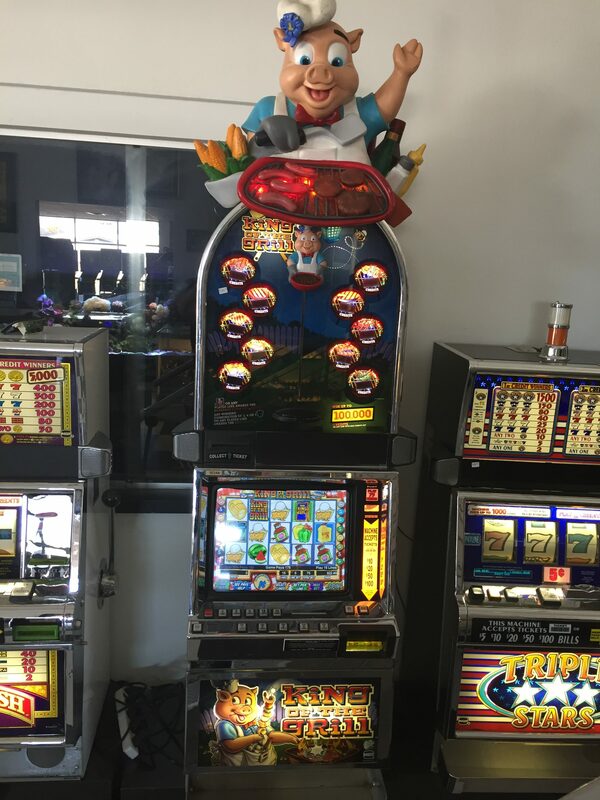 15 payline video slot from AC Coin and Slot in cooperation with International Games Technology (IGT). 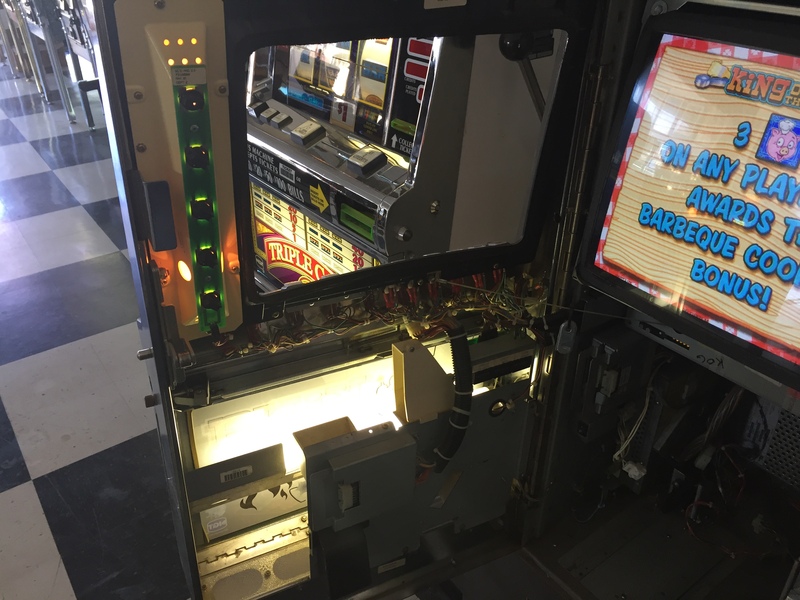 As with most video slots, when you play King of the Grill slot, you are treated to several bonus round possibilities and a great video presentation. 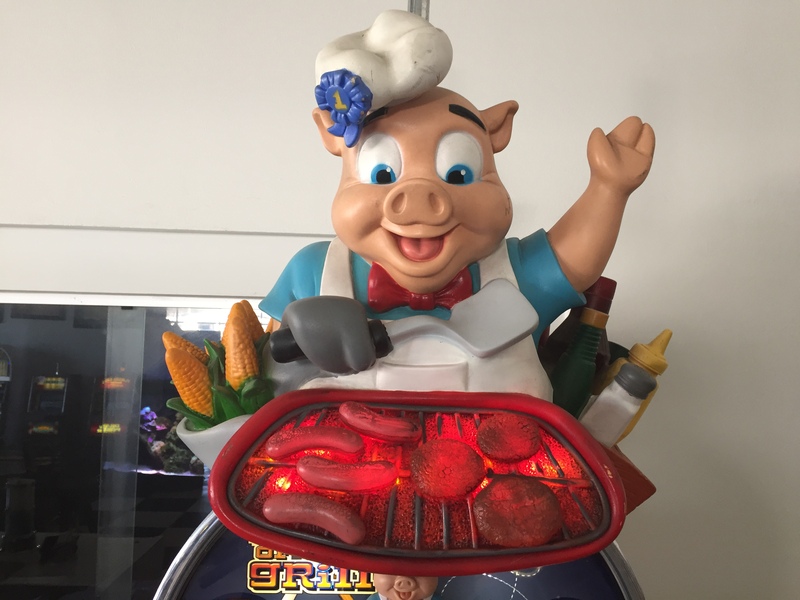 Chef Piggy is the star of the King of the Grill slots. He is hosting a cook out and grilling for his guests. The reels features icons such as corn on the cob, watermelon, pigs, burgers, bug zappers, peppers, coolers, ice cream, pie ala mode, steak, shrimp, pork and barbeque sauce. 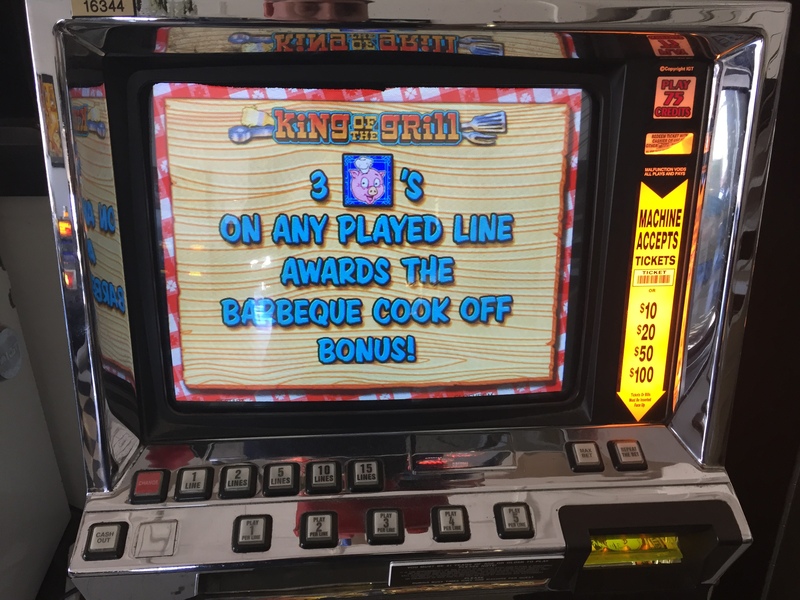 The grilling gets hot in the King of the Grill slot machine game when three of the same symbols end up on a played payline. This starts the first bonus game, a cook-off challenge. On the screen appears a grill with two food items and a can of light fluid. The player must choose one. After the selection is made lighter fluid is added to the coals underneath the grill. While the coals heat, up a pair of barbeque tongs appear and turn the food over. The result is either burned dinner or perfectly cooked entre. If you burned your dinner, you are shown what you would have won and the bonus round is over. If you did not burn your food to a crisp, you are awarded a bonus and advance to the next level of the King of the Grill slots cook-off. If chef Piggy, with your help, makes it all the way to the top of the cook-off contest, you win an additional bonus as the best BBQ cook in the country. This bonus game is activated when at least 3 bug zapper icons appear. The image on the screen then changes to a scene of a back yard with a bug light that attracts mosquitoes, moths and bees. Touch a bug to start the bonus game. Zap as many bugs as you can. The game ends when one of the bugs ends up in the potato salad. 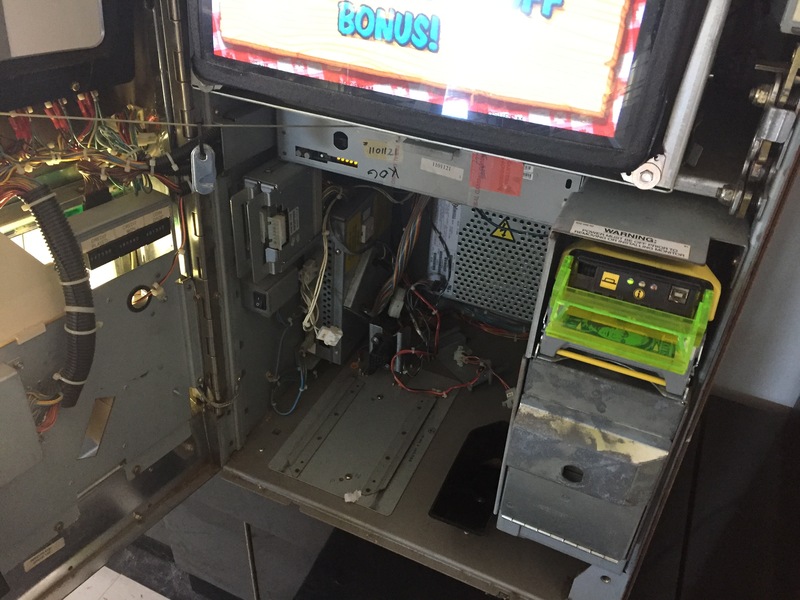 Slot Machine is in excellent cosmetic condition. Includes door key and reset key. NOTE: Purchase price does not include stand.